Hanford, Washington, on the beautiful Columbia River, was the site selected for the full-scale plutonium production plant, the B Reactor. 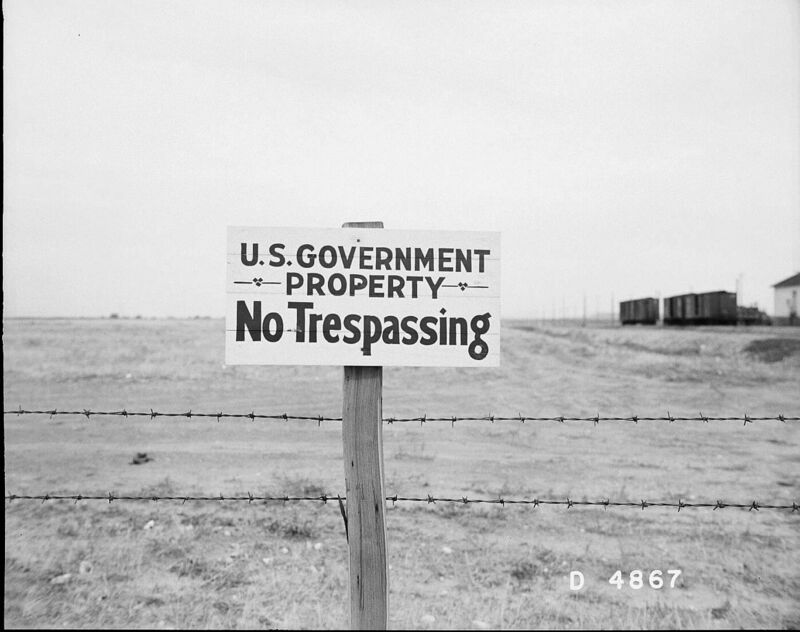 Today a popular tourist destination, the Hanford Site proved crucial to the success of the Manhattan Project. 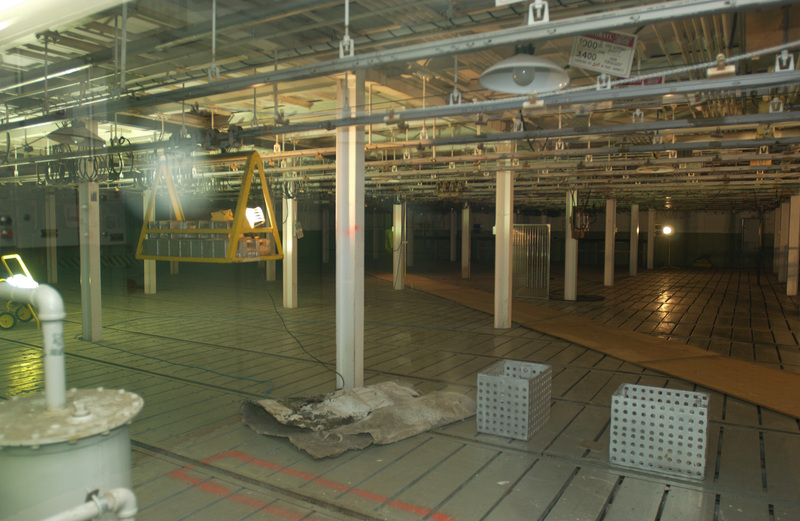 The search for a location for the full-scale plutonium facilities began soon after DuPont joined the production team. Arthur H. Compton's scientists needed an area of approximately 225 square miles. Three or four pile reactors and one or two chemical separation complexes would be at least a mile apart for security and safety purposes, while nothing would be allowed within four miles of the separation complexes for fear of radioactive accidents. 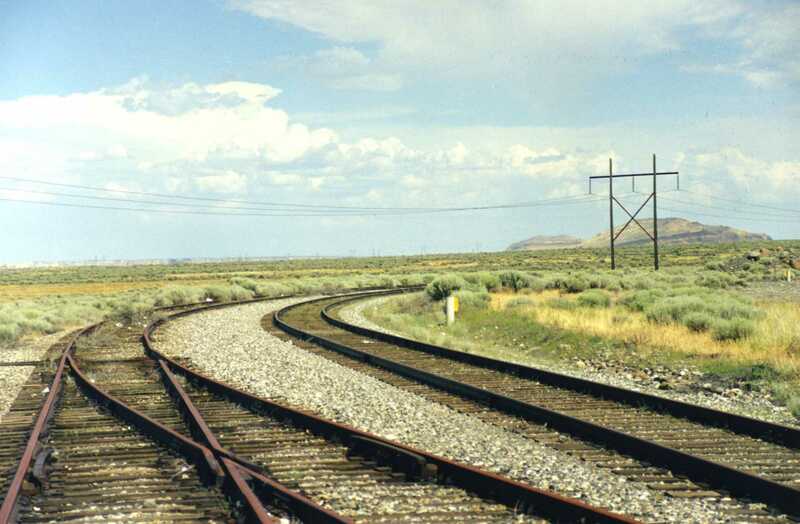 All towns, highways, rail lines, and laboratories would be several miles further away. December 16, 1942 found Col. Franklin T. Matthias of Groves' staff and two DuPont engineers headed for the Pacific Northwest and southern California to investigate possible production sites. Of the possible sites available, none had a better combination of isolation, long construction season, and abundant water for hydroelectric power than those found along the Columbia and Colorado Rivers. 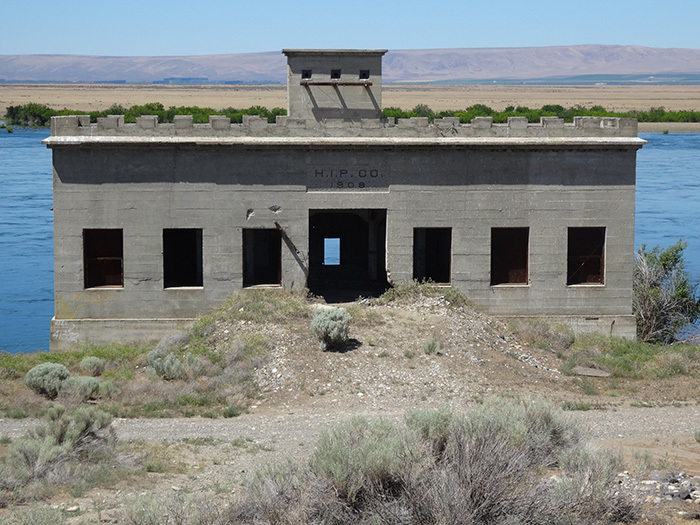 After viewing six locations in Washington, Oregon and California, the group agreed that the area around Hanford, Washington, best met the criteria established by the Met Lab scientists and DuPont engineers. 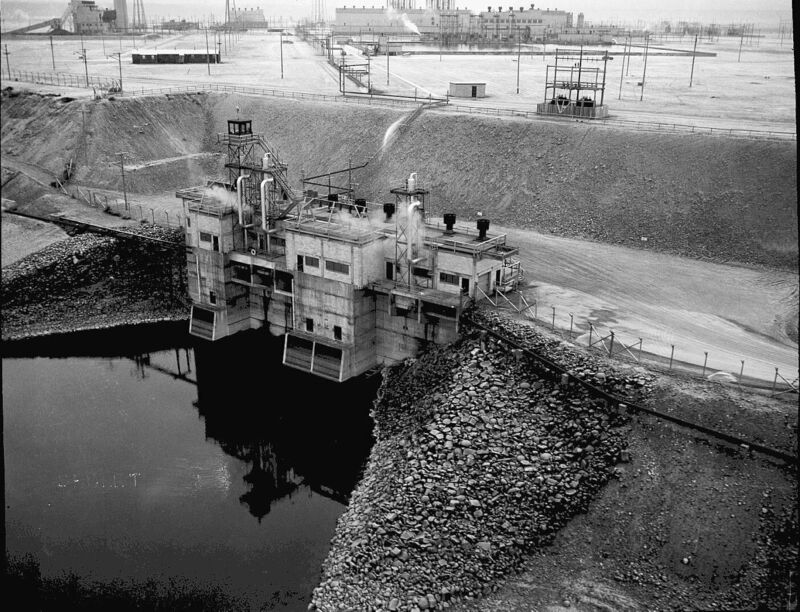 The Grand Coulee and Bonneville Dams offered substantial hydroelectric power, while the flat but rocky terrain would provide excellent support for the massive plutonium production buildings. 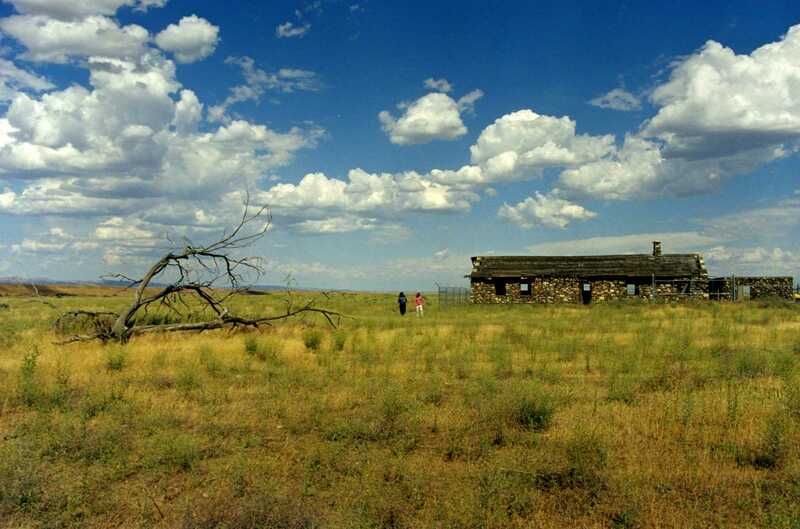 The ample site of nearly 500,000 acres was far enough inland to meet security requirements, while existing transportation facilities could quickly be improved and labor was readily available. Pleased with the committee's unanimous report, Groves accepted its recommendation and authorized the establishment of the Hanford Engineer Works, codenamed Site W.
On January 16, 1943, General Leslie Groves officially endorsed Hanford as the proposed plutonium production site. Most residents of the affected area, including those living in Hanford, White Bluffs, and Richland, were given 90 days notice to abandon their homes. Homeowners were compensated based on the appraised value of their homes, excluding the value of improvements, crops, and equipment. Many of the landowners rejected initial offers on their land and took the Army to court seeking more acceptable appraisals. 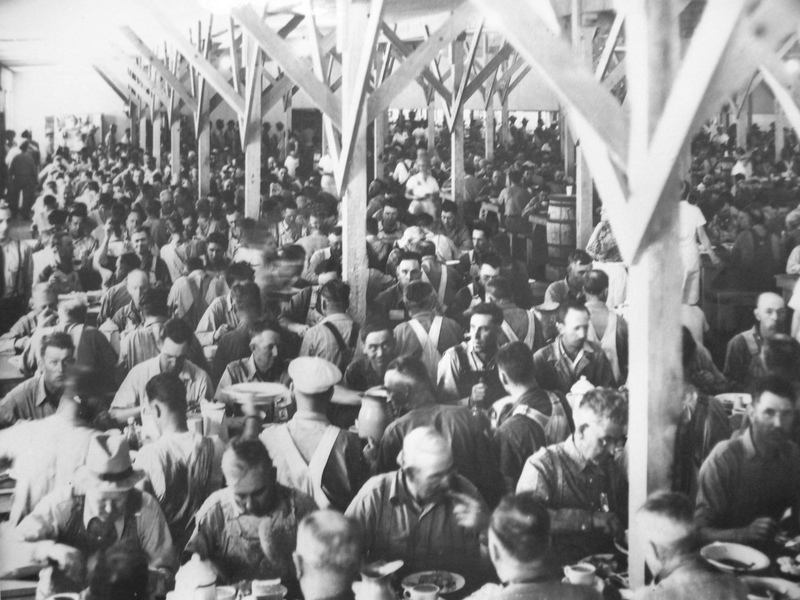 Matthias adopted a strategy of settling out of court to save time, time being a more important commodity than money to the Manhattan Project. The Native American tribes were also displaced. The Wanapum lost access to their traditional home on the Columbia River, and the tribe resettled in Priest Rapids. Access to their traditional fishing areas was at first restricted and then revoked altogether. As one chapter of the region’s history ended, a new one began. Within three years, the Columbia Basin became a place of global significance. After the decision to produce plutonium was made, the government needed to draw upon the talent and resources of corporate America to get the job done. General Leslie Groves was familiar with the E. I. du Pont de Nemours & Company, the major chemical and munitions company founded by Eleuthère Irénée du Pont in 1802. DuPont’s manufacturing history and capabilities were impressive. DuPont’s managers knew that mass-producing plutonium was to be unlike any challenge they had previously faced. Enrico Fermi’s experimental reactor in Chicago Met Lab had to be scaled up thousands of times. Many technical questions, from how to cool the reactor to how to safely extract plutonium from the spent fuel rods, remained unanswered. There was no time for rigorous testing or a long-term pilot-scale facility. DuPont engineers had to use their best judgment to choose an approach and make it work. Now that DuPont would be building the plutonium production complex in the Northwest, Arthur H. Compton saw no reason for any pile facilities at Oak Ridge and proposed to conduct Met Lab research in either Chicago or Argonne. DuPont on the other hand, continued to support a semi-works at Oak Ridge and asked the Met Lab scientists to operate it. Compton demurred on the grounds he did not have sufficient technical staff, but he was also reluctant because his scientists were complaining that their laboratory was becoming little more than a subsidiary of DuPont. In the end, Compton knew the Chicago Met Lab would have to support DuPont, which simply did not have sufficient expertise to operate the semi-works on its own. The University of Chicago administration supported Compton's decision in early March. Matthias received his major assignment in late March of 1943. The three water-cooled piles, designated by the letters B, D, and F, would be built about six miles apart on the south bank of the Columbia River. The four chemical separation plants, built in pairs, would be nearly ten miles south of the piles, while a facility to produce uranium slugs and perform tests would be approximately twenty miles southeast of the separation plants near Richland, WA. Temporary quarters for more than 45,000 construction workers would be put up in Hanford, while permanent facilities for other personnel would be located down the road in Richland, safely removed from the production and separation plants. 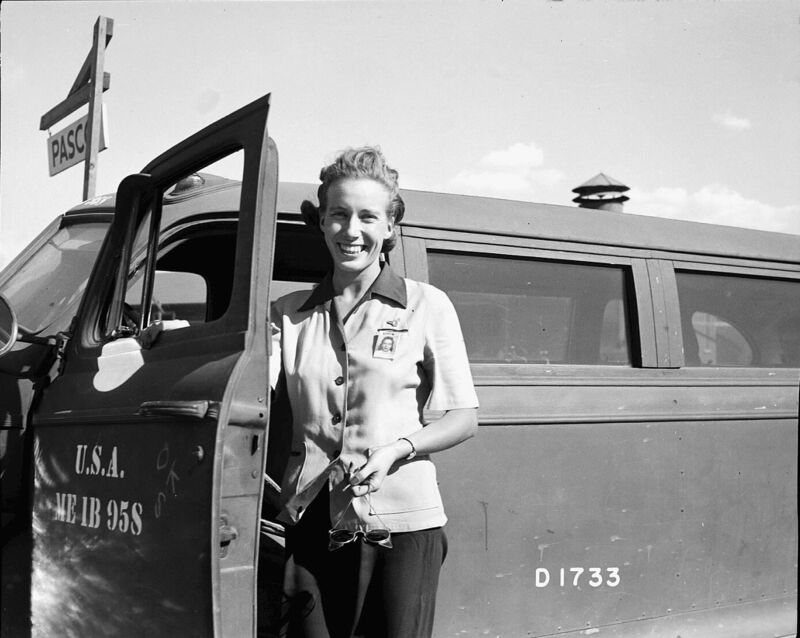 During the summer of 1943, Hanford became the Manhattan Project's newest boomtown. Thousands of workers poured into the town, many of them to leave in discontent. 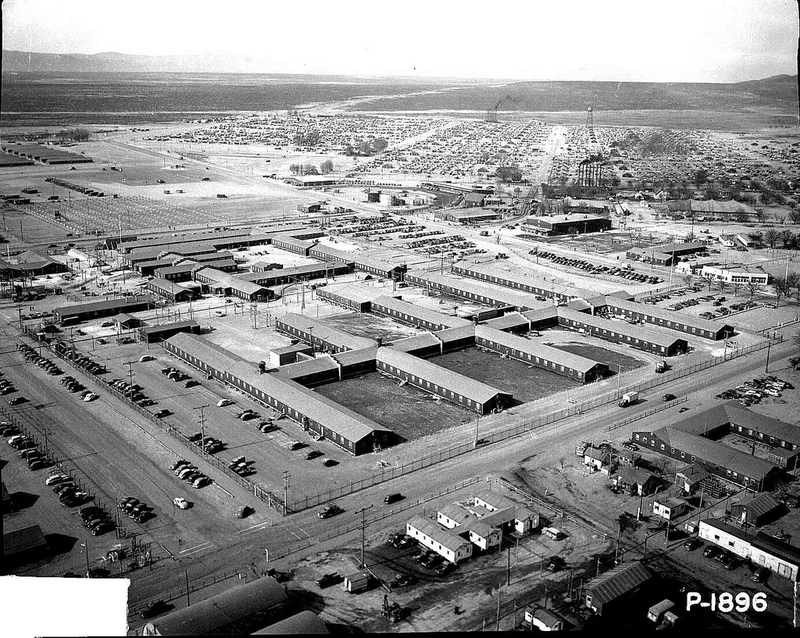 Well situated from a logistical point of view, Hanford was a sea of tents and barracks where workers had little to do and nowhere to go. 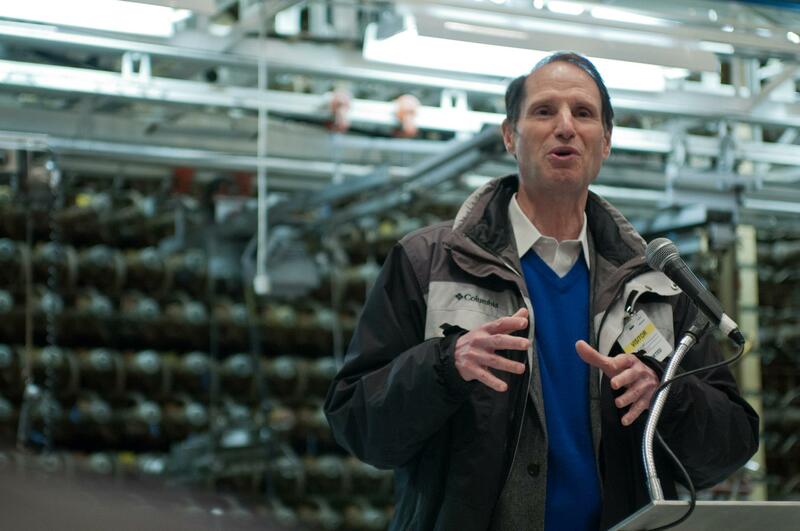 DuPont and the Army coordinated efforts to recruit laborers from all over the country for Hanford, but even with a relative labor surplus in the Pacific Northwest, shortages plagued the project. 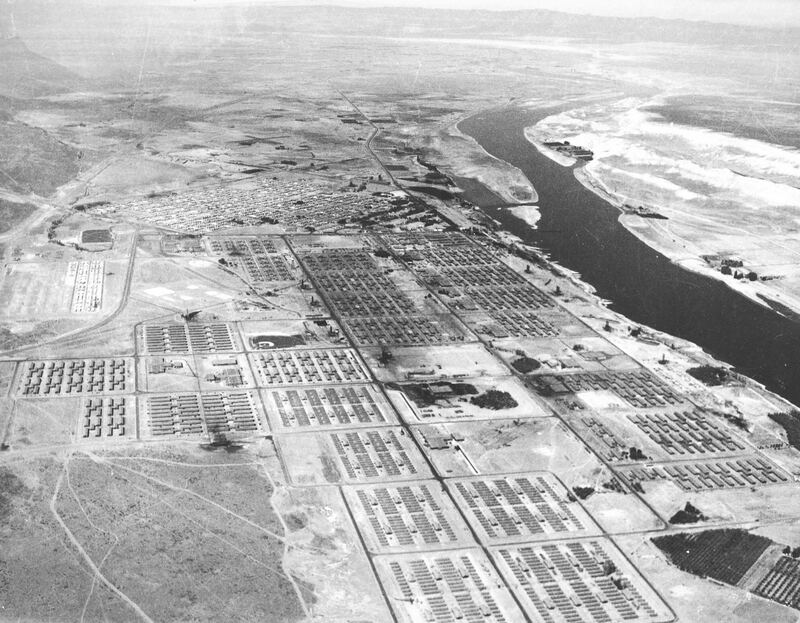 Conditions improved significantly during the second half of the year, with the addition of recreational facilities, higher pay, and better overall services for Hanford's population, which reached 50,000 by the summer of 1944. To many, Hanford still resembled the frontier and mining towns once common in the west, but the rate of worker turnover dropped substantially. As stated previously, there were to be three nuclear reactors (Piles) built at Hanford. They were to be designated as Piles B, D and F.
Groundbreaking for the water-cooling plant for the 100-B pile at the B Reactor, the westernmost of the three, took place on August 27, 1943, less than two weeks before Italy's surrender to the Allies. Work on the pile itself began in February 1944, with the base and shield being completed by mid-May. It took another month to place the graphite pile and install the top shield and two more months to wire and pipe the pile and connect it to the various monitoring and remote control devices. Once operational, uranium slugs, produced at a nearby facility, would drop into water pools behind the 100-B Pile after being irradiated. From these pools, the highly-radioactive slugs would be moved by remote-controlled rail cars to a storage facility five miles away. Next they would make their way to their final destination at one of the two enormous chemical separation locations, designated 200-West and 200-East. 200-West was comprised of two separation facilities, the T and U units, while a single plant, the B unit, made up the 200-East complex. (A planned fourth separation plant at 200-East was never built). With the abandonment of the "plutonium gun bomb" in July 1944, planning at Hanford became much more complicated. Pile 100-B was almost complete, as was the first chemical separation plant (T Unit), while Pile D was at the halfway point. Pile F was not yet under construction. If the newly theoretical implosion devices using plutonium could be developed at Los Alamos, NM, the three piles would probably produce enough plutonium for the weapons required, but as yet no one was sure of the amount needed. 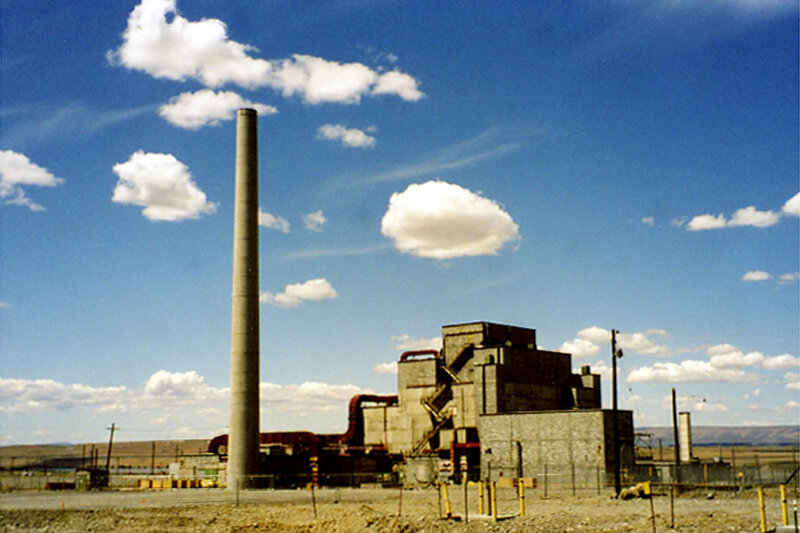 The B Reactor at Hanford, WA was built and operated by DuPont and was the world's first production-scale nuclear reactor. 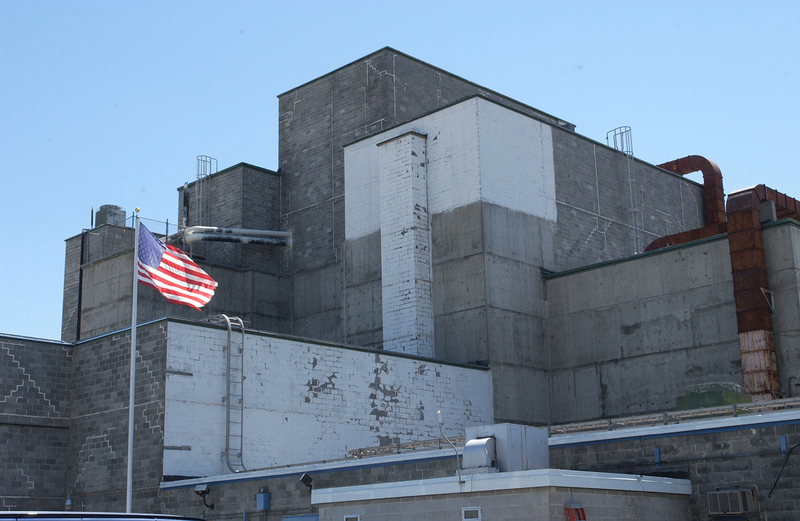 B Reactor was the first of three plutonium reactors constructed in the 100 area during the Manhattan Project. B Reactor was the first of three plutonium reactors constructed in the 100 area during the Manhattan Project. The design was based on the success of Enrico Fermi’s “Chicago Pile I” in December 1942 at Chicago Met Lab and a pilot plant, the X-10 Graphite Reactor, in Oak Ridge, TN that began producing plutonium in November 1943. B Reactor was a 36-foot cube built of graphite blocks with a matrix of holes for the process tubes that held the uranium fuel and the control rods. B Reactor was designed to produce 250 million watts, more than a million times the Chicago Pile I. While the X-10 pilot plant was air cooled, B reactor was water cooled. There was no time to build another pilot plant or rigorously test engineering solutions to the many first-of-a-kind problems. DuPont engineers had to work quickly to translate the Chicago physicists’ ideas into blueprints to keep ahead of the construction crews at Hanford. The fuel elements were loaded into the reactor. At full capacity, workers had to load over 60,000 fuel elements into the reactor’s 2,004 process tubes. After an average of 100 days in the reactor, a fuel element would be sufficiently irradiated to be removed. The fuel elements were ejected from the rear face of the reactor where they fell into a 20-foot pool of water. Here they cooled off for about 90 days until they were ready to be shipped to the chemical separations plant in the 200 area. 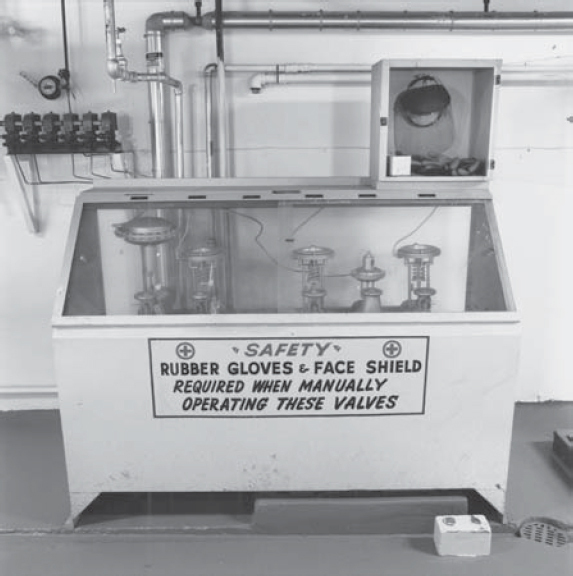 B Reactor was equipped with multiple redundant safety systems. 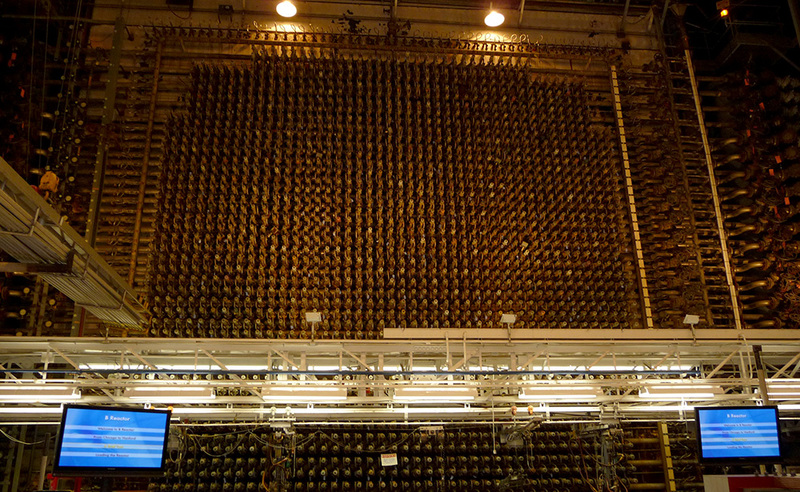 During routine operation, the reactor was controlled using nine neutron absorbing control rods inserted horizontally into the reactor. B Reactor also had 29 vertical safety rods that could be quickly dropped into the reactor if the horizontal control rods were insufficient. As a last resort, a mechanism above the reactor could drop small boron balls into the reactor. These balls would stop the reaction and could be vacuumed out later so as to not permanently damage the reactor. 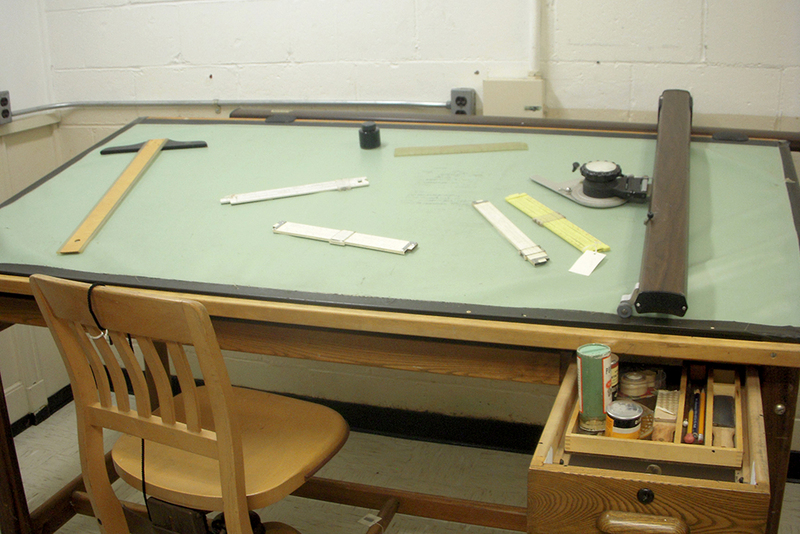 Operators had to constantly monitor more than 5,000 instruments, most of which were located in the control room. Many of these devices had never been used in an industrial setting before. 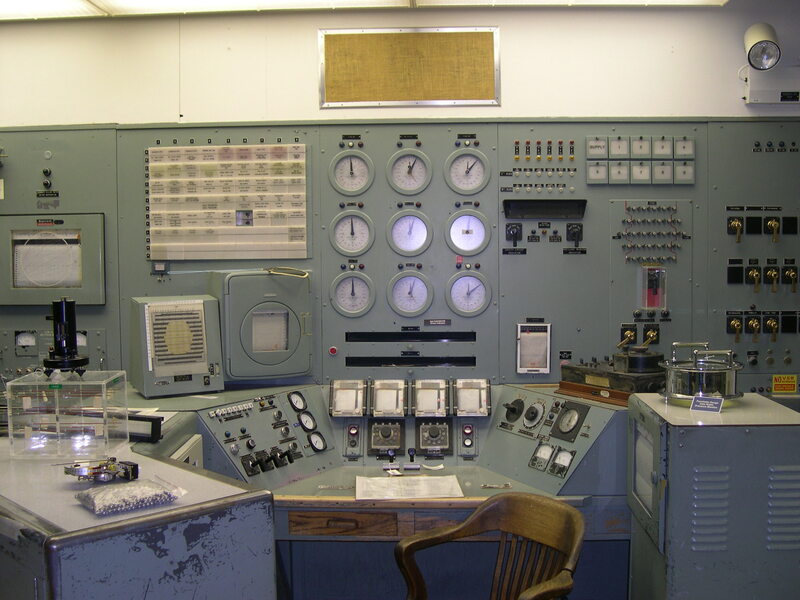 The main control panel was staffed around the clock. The reactor core generated a tremendous amount of heat. 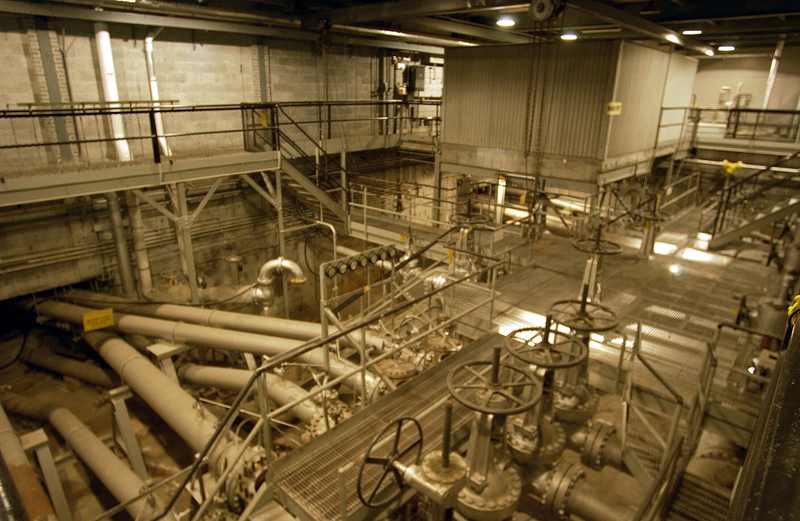 Water pumped from the Columbia River was filtered, treated and stored in facilities near the reactor. To cool the reactor, some 30,000 gallons of water were pumped through the reactor every minute. The water was channeled through thin passages between the process tube and fuel elements. Excitement mounted at Hanford as the date for pile start-up approached. 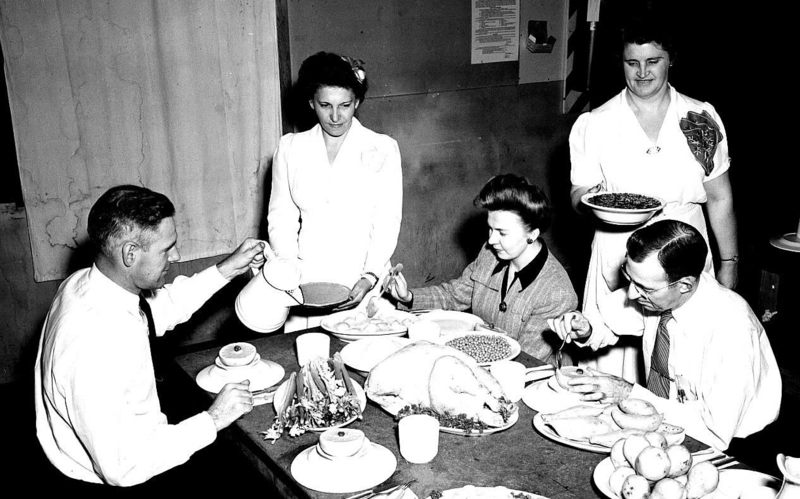 Enrico Fermi placed the first uranium slug in pile 100-B of the B Reactor on September 13, 1944. Final checks on the pile had been uneventful. The scientists could only hope that they were accurate, since once the pile was operational the intense radioactivity would make maintenance of many components impossible. Loading slugs and taking measurements took a full two weeks. From just after midnight until approximately 3:00 a.m. on September 27, the pile ran without incident at a power level higher than any previous chain reaction (though only at a fraction of design capacity). The operators were elated, but their excitement turned to astonishment when the power level began falling after three hours. It fell continuously until the pile ceased operating entirely on the evening of the 28th. By the next morning the reaction began again, reached the previous day's level, then dropped. The Hanford scientists were at a loss to explain the pile's mysterious failure to maintain a chain reaction. Only the foresight of DuPont's engineers made it possible to resolve the crisis. The cause of the strange phenomenon proved to be xenon poisoning. Xenon, a fission product isotope with a mass of 135, was produced as the pile operated. It captured neutrons faster than the pile could produce them, causing a gradual shutdown. With shutdown, the xenon decayed, neutron flow began again, and the pile started up. Fortuitously, despite the objections of some scientists who complained of DuPont's excessive caution, the company had installed a large number of extra tubes. This design feature meant that the pile 100-B could easily be expanded to reach a power level sufficient to overwhelm the xenon poisoning. In early 1944, DuPont, the operating contractor at Hanford, WA, foresaw the need for four chemical separation facilities. 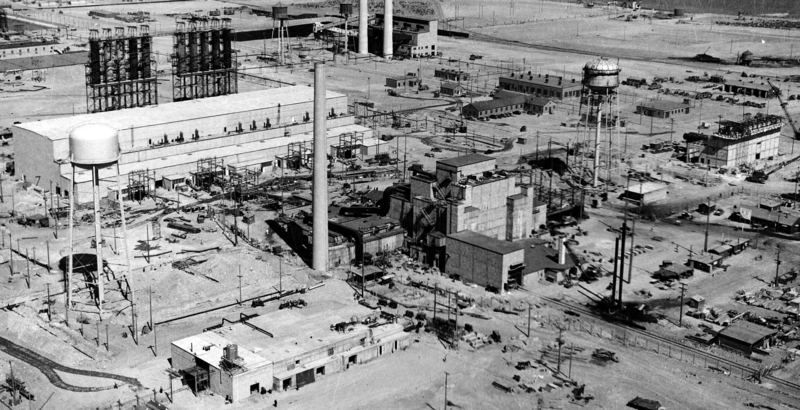 These facilities, designated the T and U plants at location 200-West and the B and C plants at location 200-East (the C plant was never built), would be located approximately ten miles south of the reactors. 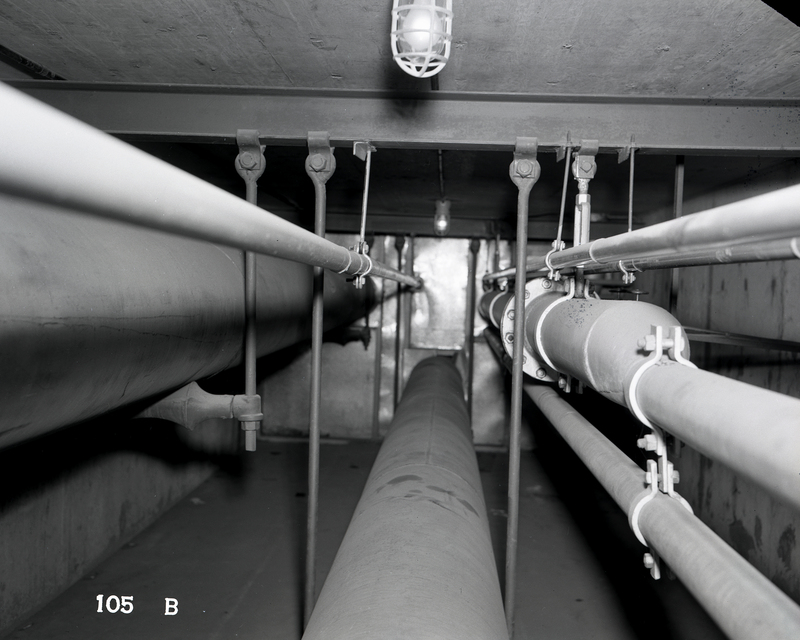 The separation facilities at Hanford were massive scaled-up versions of the semi-works at Oak Ridge, TN, each containing separation and concentration buildings in addition to ventilation (to eliminate radioactive and poisonous gases) and waste storage areas. 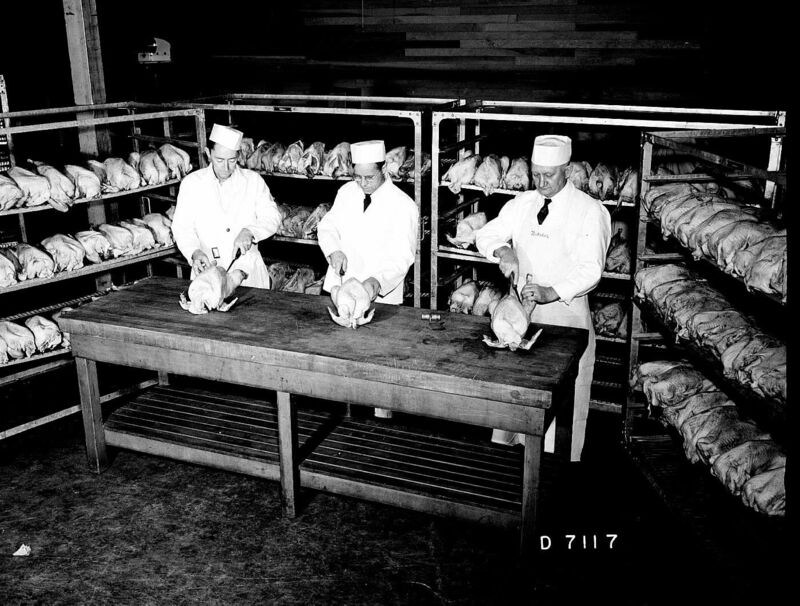 Labor shortages and lack of final blueprints forced DuPont to stop work on the 200 areas in the summer of 1943 and concentrate its forces on 100-B, with the result that 1943 construction progress on chemical separation was limited to digging two huge holes in the ground. 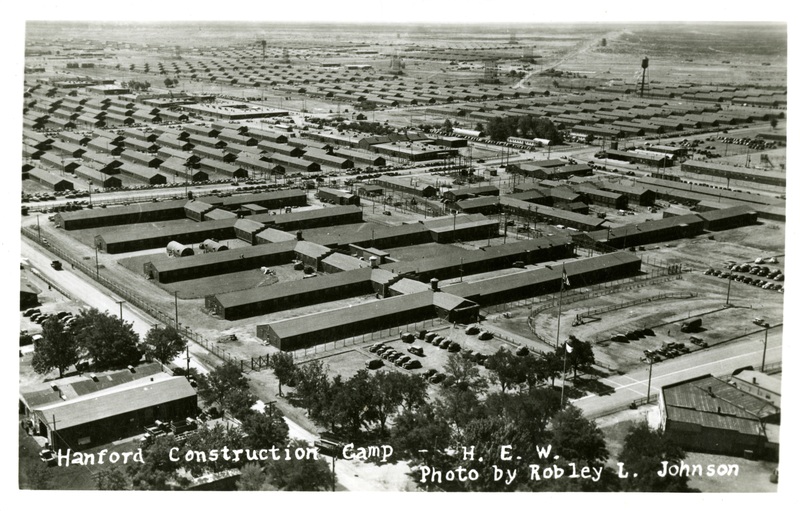 Both 221T and 221U, the chemical separation buildings in the 200-West complex, were finished by December 1944. 221B, the counterpart in 200-East, was completed in the spring of 1945. Nicknamed "Queen Marys" by the workers who built them, the separation buildings were awesome canyon-like structures 800 feet long, 65 feet wide, and 80 feet high containing forty huge process pools. The interior had an eerie quality as operators behind thick concrete shielding manipulated remote control equipment by looking through television monitors and periscopes from an upper gallery. 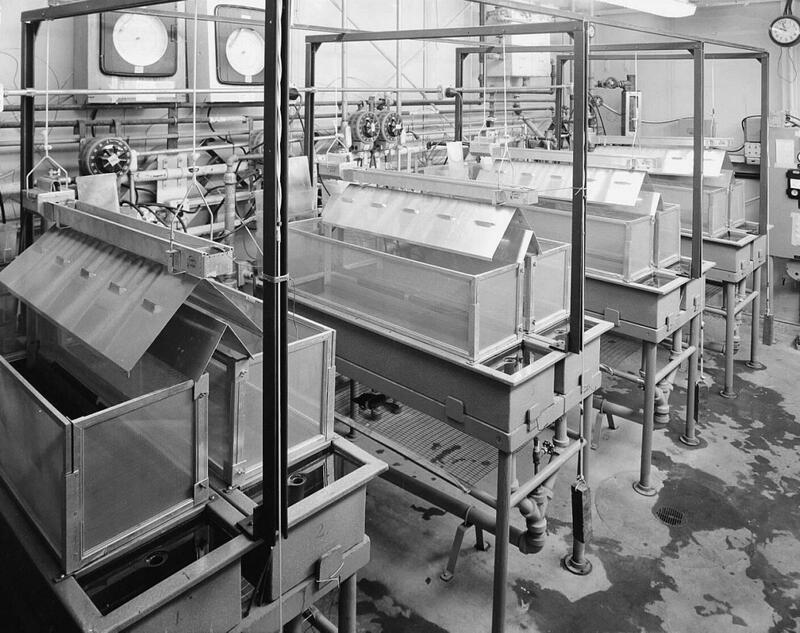 Even with massive concrete lids on the process pools, precautions against radiation exposure were necessary and influenced all aspects of plant design. Construction of the chemical concentration buildings (224-T, U, & B) was a less daunting task because relatively little radioactivity was involved, and the work was not started until very late 1944. The 200-West units were finished in early October, the East unit in February 1945. In the Queen Marys, bismuth phosphate carried the plutonium through the long succession of process pools. The concentration stage was designed to separate the two chemicals. 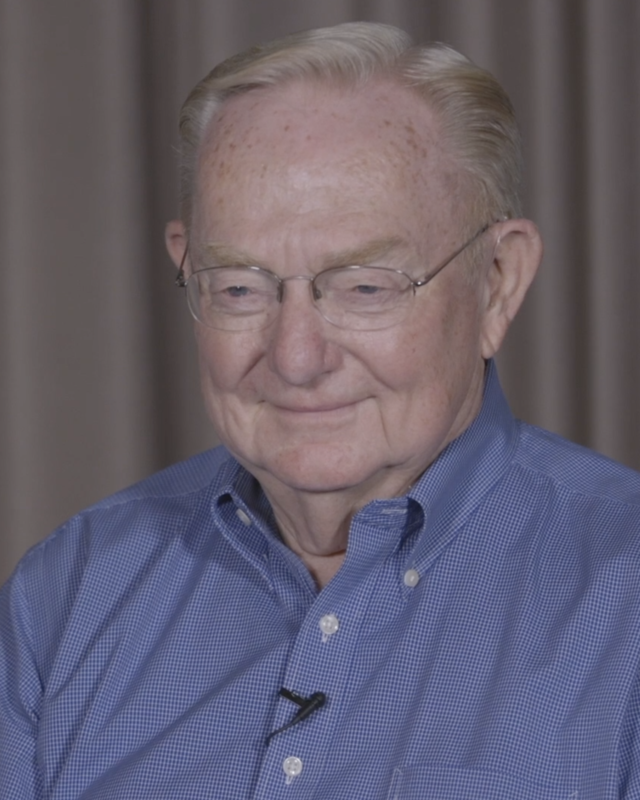 The normal relationship between pilot plant and production plant was realized when the Oak Ridge pilot plant reported that bismuth phosphate was not suitable for the concentration process but that Glenn Seaborg's original choice, lanthanum fluoride, worked quite well. Hanford, accordingly, incorporated this suggestion into the concentration facilities. The final step in plutonium extraction was isolation, performed in a more typical laboratory setting with little radiation present. Here Isadore Perlman's earlier research on the peroxide method paid off and was applied to produce pure plutonium nitrate. The nitrate solution was then transported to Los Alamos, NM, where it was converted to metal. 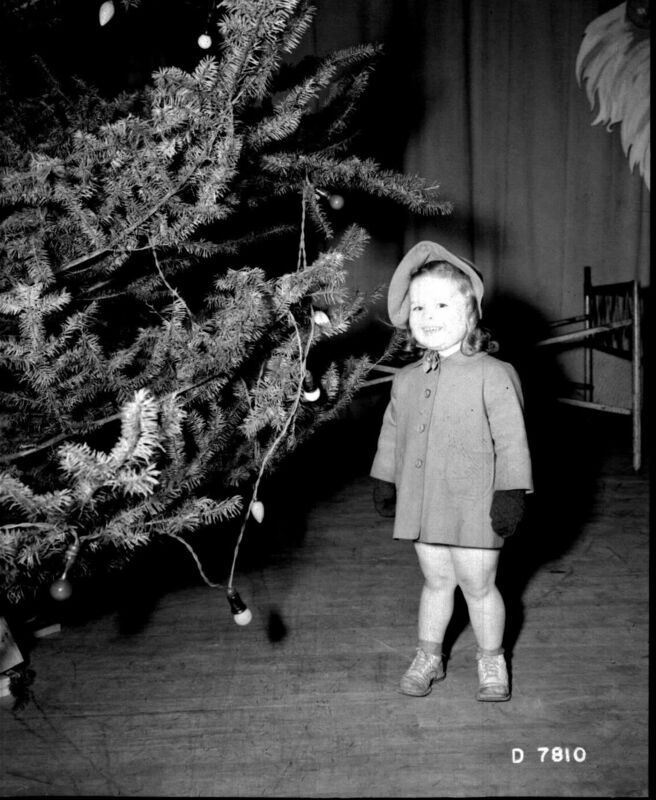 Success was achieved when the first irradiated slugs were discharged from pile 100-B of the B Reactor on Christmas Day, 1944. The irradiated slugs, after several weeks of storage, went to the chemical separation and concentration facilities. 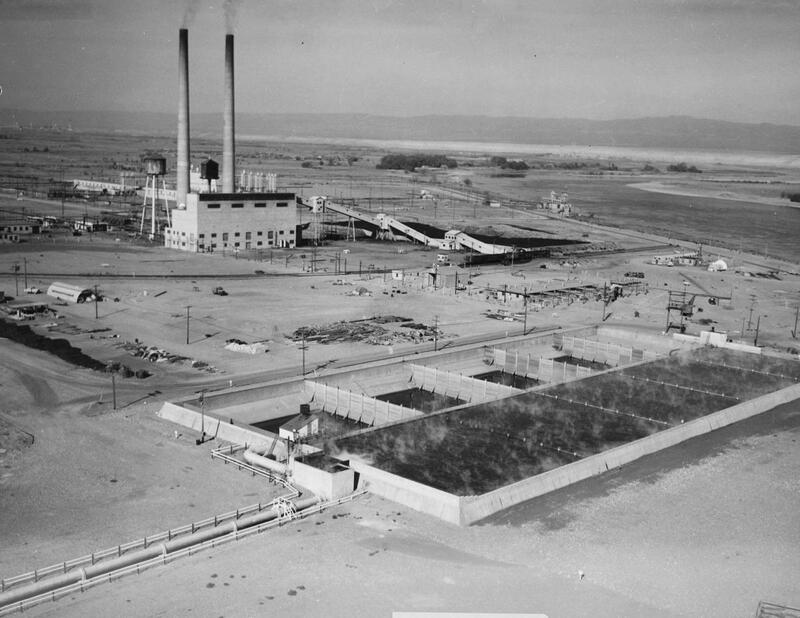 By the end of January 1945, the highly purified plutonium underwent further concentration in the completed chemical isolation building, the T-Plant, where remaining impurities were removed successfully. 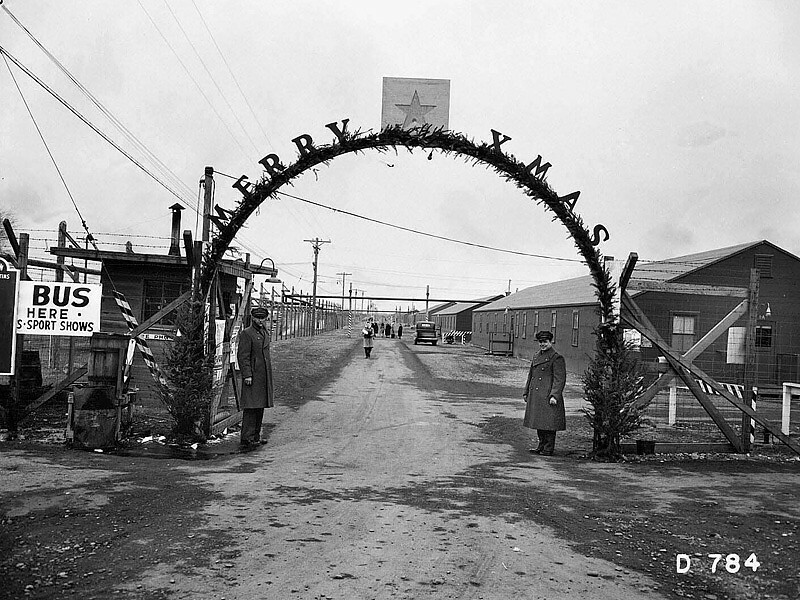 Los Alamos, NM received its first plutonium on February 2, 1945. Today visitors can tour the original B Reactor and listen to Manhattan Project veterans describe the facility and their experiences there. For more information on the Manhattan Project's sites in Washington and the scientists who worked there, please consider purchasing our Guide to the Manhattan Project in Washington State, which can be found on the Atomic Heritage Foundation's online store or at Amazon. 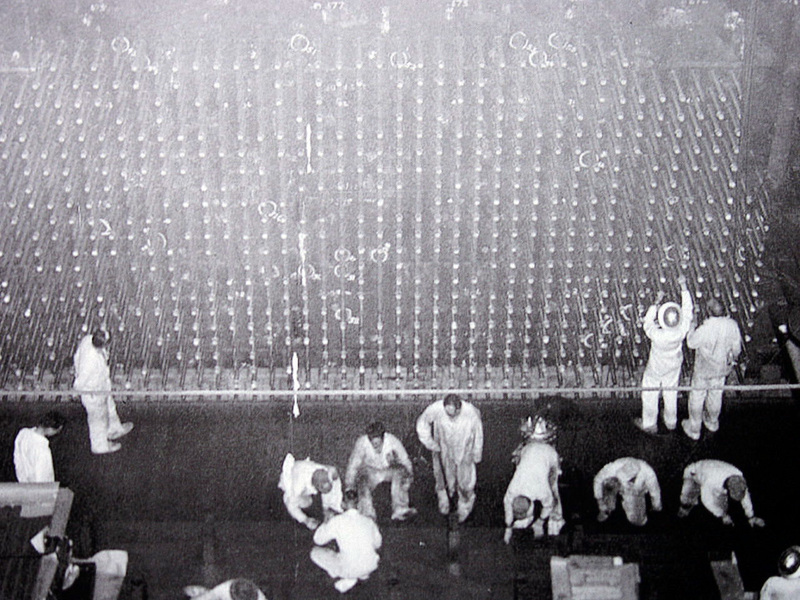 Men working at B reactor. 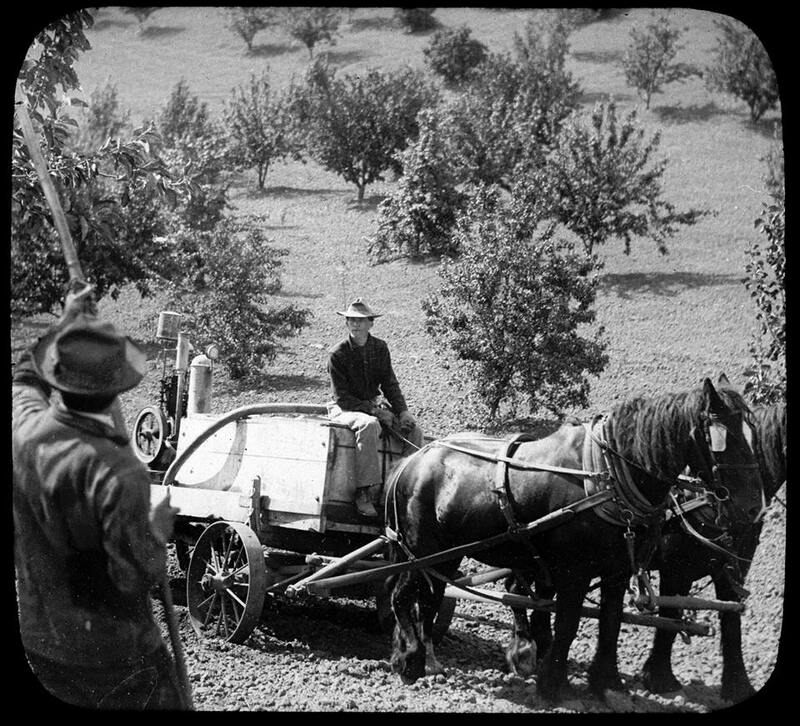 Spraying an orchard in the Hanford area in 1922. 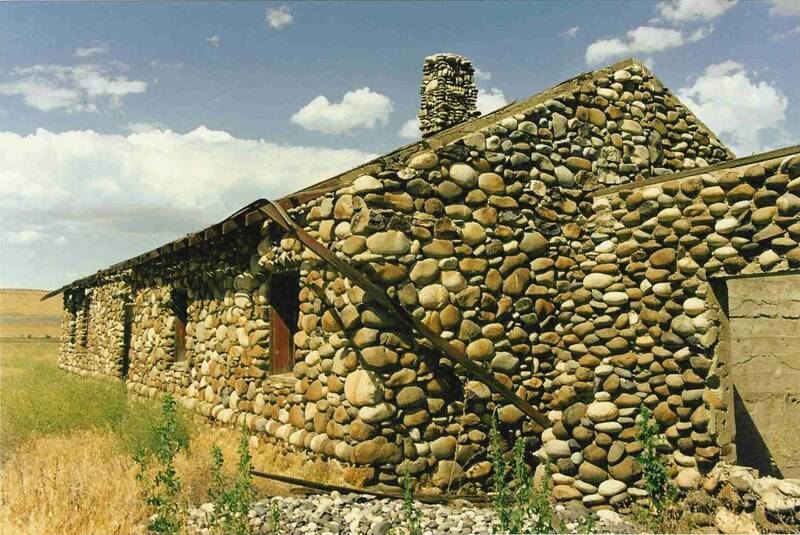 Photo courtesy of Our Hanford History. 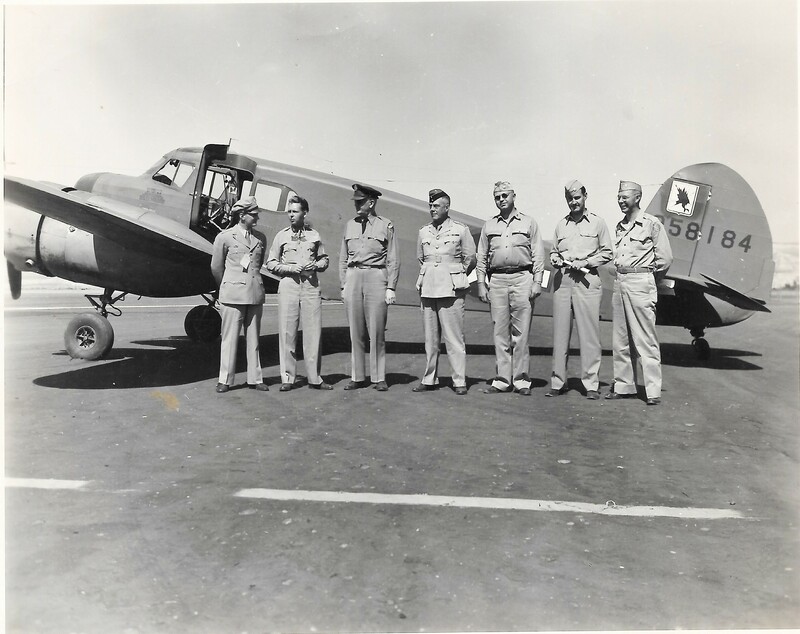 Major Riley (second from right) with other servicemen at Hanford. Guarded entrance to the women’s barracks area, very likely where Ardes lived for the year there. High aerial view NNW of whole site and beyond. Columbia River on the right meandering North and then West in the distance. The main administration and office building. Women’s barracks area behind to the upper left. Possibly where Ardes worked. The buildings to the right are described as the hospital area. View due West over the Admin. 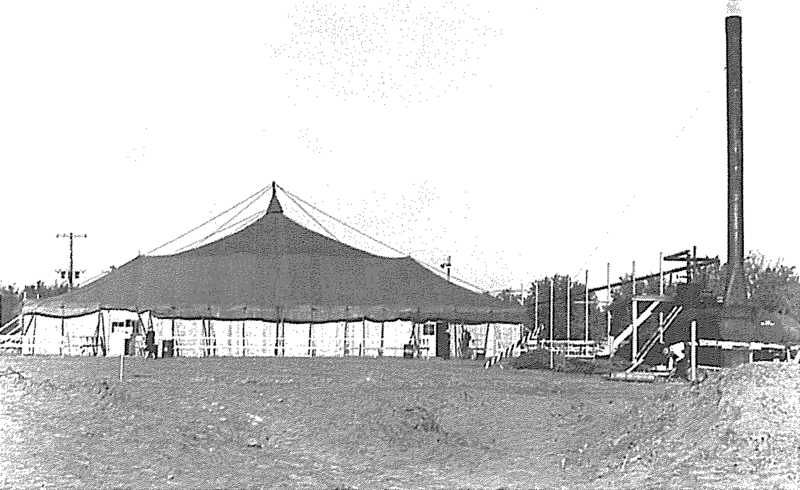 Building and beyond to large “Trailer Tent & Camper Area” for workers who have relatives on site.